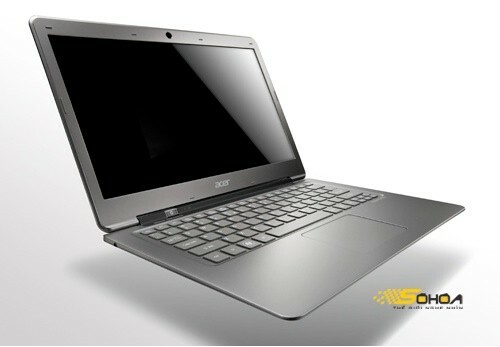 Acer's Aspire 3951 leaks with MacBook Air-like specs, available in October? It looks like Acer may be dropping down to the lightweight laptop division, now that images of its so-called Aspire 3951 have leaked out of Vietnam. An ostensible rival to the recently refreshed MacBook Air, the 13.3-inch 3951 reportedly boasts a similarly slim design, measuring 13mm thick and weighing less than 1.4 kilograms (about three pounds). According to Sohoa, the aluminum-cased device is powered by a second generation Intel Core processor, features an optional 160GB SSD, and offers more than six hours of battery life, along with Bluetooth 4.0 support. Much like the Air, this Aspire can purportedly boot up pretty fast, as well, rousing from sleep mode in just 1.7 seconds. It's rumored that Acer will release this new line in October within the curiously affordable price range between $770 and $960, but we'll have to wait and see whether that actually comes to fruition. In the meantime, you can check out an extra image of the Aspire 3951 below, or hit the source link for the full collection. Update: Oddly enough, it appears that we've caught a glimpse of this exact same laptop before, except it was portrayed by M.I.C. Gadget as a Thunderbolt MacBook Air leak. Perhaps the folks received some bad intel, be it intentional or not.